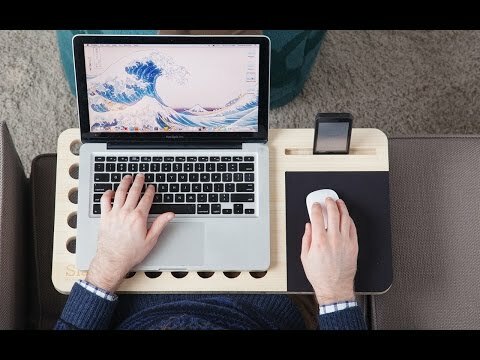 This portable desk features a spacious, multi-device design that makes for a comfortable workspace that is as adaptive as you are. 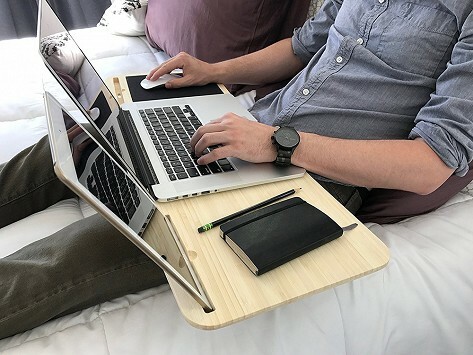 Rest the Pilot Lapdesk hands-free on your arm chair, your lap, or on your bed so you can work from anywhere. Dimensions: 30" x 11" x 0.5"